As the state’s abundant food bowl, a major manufacturing centre and the gateway to and from northern Victoria and places beyond, the Goulburn Valley has long enjoyed strategic importance for Victoria’s economy. a general freight and logistics area comprising four allotments. an additional freight and logistics area comprising five allotments. 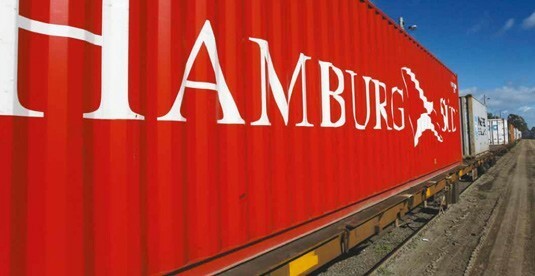 a true intermodal terminal connecting GV Link tenants to streamlined road transport access and a high capacity, modern inland rail port. GV Link is being built on a superb 331 hectare green field site on Toolamba Road, two kilometres south of the Midland Highway at Mooroopna, 4.7 kilometres south west of Shepparton. Current and proposed road and rail infrastructure will enable easy site access now and into the future. GV Link is virtually at the crossroads of two major central Victorian road systems: the Goulburn Valley Highway and Midland Highway. The proposed route for the Goulburn Valley Highway bypass of Shepparton, anticipated to be constructed within the decade, will pass directly through the highway reserve on the GV Link site. The Midland Highway, just two kilometres north of GV Link, offers easy east-west road connections through to Benalla and Bendigo. The Patrick Portlink rail terminal at Mooroopna, located 2km north of GV Link, provides some broad gauge rail siding facilities to existing businesses in the region. Stage 3 of GV Link envisions a true intermodal terminal, with freight seamlessly arriving by the western side of the facility by road and leaving to the east by rail from modern new purpose-built rail sidings. 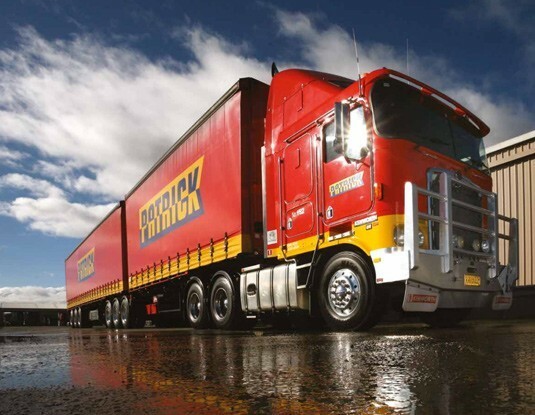 GV Link complements plans for the Donnybrook/Beveridge Interstate Freight Terminal under the Victorian Transport Plan, easing truck congestion and freight delays through metropolitan Melbourne, and forming part of a new network of major intermodal freight terminals outside the Port of Melbourne. Its timely, efficient delivery in compliance with Council’s robust planning, building, environmental and associated regulations. Responsible financial management and sound, long-term investment secured from multiple, viable sources. 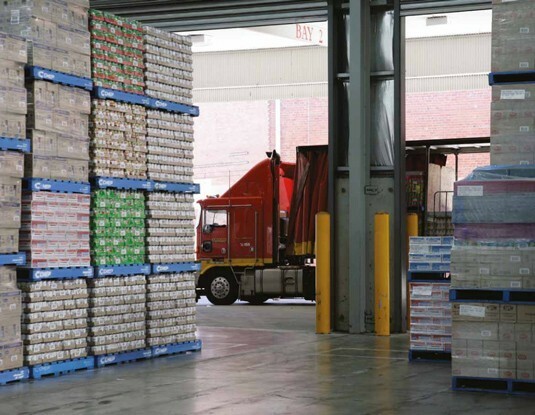 A development that addresses the broader economic needs of the region and of the transport and logistics industry locally. Design values and standards that meet the needs of business tenants and facility users that are also harmonious with the surrounding environment. Ongoing consultation with all who have a stake or potential stake in GV Link’s success. The vision that has captured the imagination of the Goulburn Valley for more than a decade is finally realised. Greater Shepparton City Council is working in partnership with other levels and key agencies of government including: the Australian Government, Victorian Government and the four neighbouring local government municipalities. 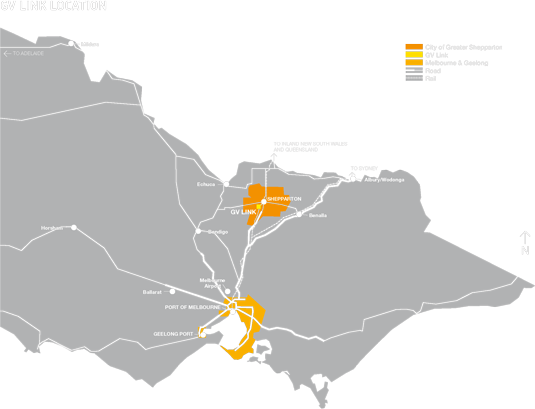 GV Link is Greater Shepparton City Council’s high priority project for its Economic Development Strategy. GV Link is a place where optimal functionality meets beautiful industrial design. The detailed design plans for Stages 1, 2 and 3 have now been completed. Energy efficiency in design, construction, materials and landscaping to minimise the use of artificial air-conditioning. Water efficiency and management to conserve and maximise usage of the region’s precious water resources. An onsite stormwater treatment facility to manage site runoff and rural drainage. All industrial and storage functions planned to minimise the visual and noise impacts for tenants and site neighbours. Architecture that is responsive to the environment in terms of the scale of envelopes, storage areas and building proportions. Shipping container storage areas located, wherever possible, out of public view, and the communal container stacking area located alongside the Melbourne-Shepparton railway line. Good solar orientation for environmental and occupancy benefit. Building envelopes attuned to the site and local environs, including harmonious building colours, materials, signage and quality fencing. Safe, efficient truck and car parking areas with minimal visual impact on the streetscape. Landscaping that balances functional, industrial needs with a liveable, natural outlook. Toolamba Road re-routed and landscaped to form an attractive boulevard main entrance to the site. Traffic planning and management that addresses the needs of both site users and the local community. The site will be fully serviced, with allotments designed to accommodate the growth of GV Link tenants, so there’s no risk of being encroached on. 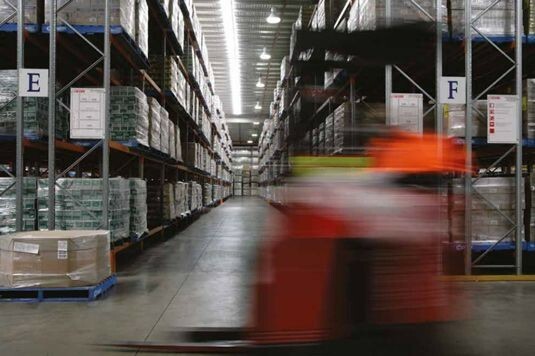 GV Link is positioned to become an industrial centre of great pride to the Goulburn Valley region and one of national repute.